The global asthma & COPD therapies market was valued at $36.21bn in 2018 and is projected to grow to $47bn by 2029. In this brand new 160-page report you will receive 86 charts– all unavailable elsewhere. The 160-page report provides clear detailed insight into the Top 20 asthma & COPD companies. Discover the key drivers and challenges affecting the market. 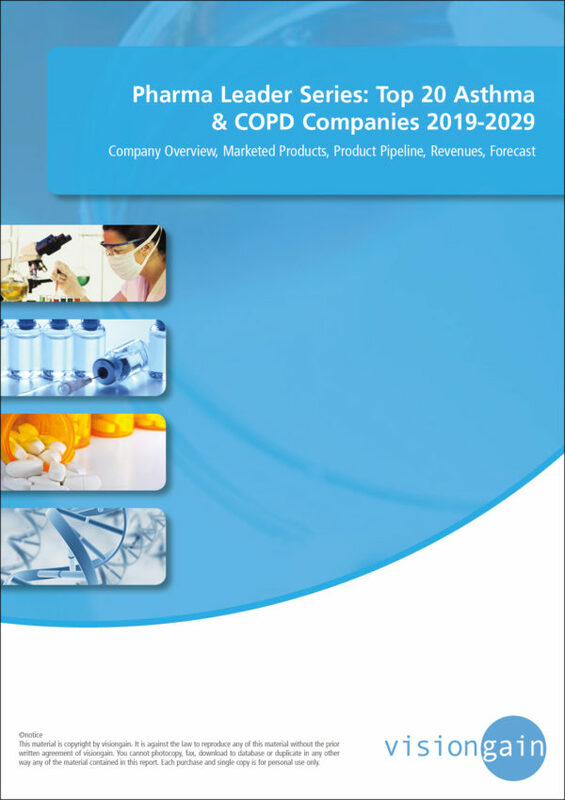 • This report discusses factors that drive and restrain the asthma and COPD market. Visiongain’s study is intended for anyone requiring commercial analyses for the top 20 asthma & COPD therapies companies. You find data, trends and predictions. 3.3 How Will Leading Companies’ Market Shares Change to 2029? Dainippon Sumitomo Pharma America, Inc.